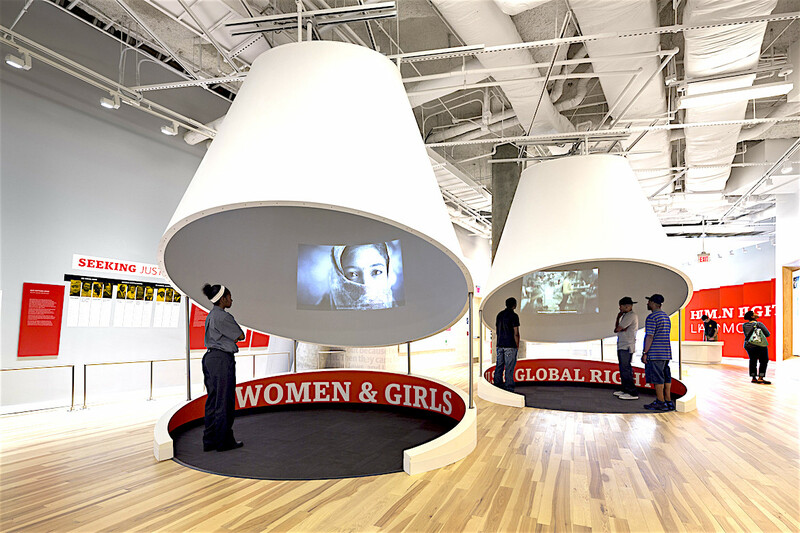 Over the past three years, new and newly revamped civil rights museums have appeared across the Deep South, proving to be popular tourist attractions and economic engines. But this is not happening without difficulty. Historically, due to the horrific and humiliating nature of slavery and the post-Civil War Jim Crow era, the South has been very slow to publicly recognize these atrocities, much less build expensive museums on the subject to attract local or far-away visitors. Many southerners have feared that shining a light on the region’s pre-civil rights past will bring a new wave of blame their way, but now the tourism benefits are hard to pass up. Civil rights tourism could be an economic lifeline, but it requires confronting some ugly truths. Memphis, Tennessee was among the first southern cities to participate in this trend with the National Civil Rights Museum, located at the Lorraine Motel, the site of Dr. Martin Luther King Jr.’s 1968 assassination. While the museum was established in 1991, it underwent a big renovation in 2013 and 2014 costing $27.5 million. It attracted more than 250,000 visitors in 2015, up 27 percent from the year before, and its income rose sharply to more than $4 million in 2015. Faith Morris, the museum’s chief marketing and external affairs officer, said of the new civil rights museums, “It’s a sign of the times. Folks are still fighting for voting rights, that’s in the news right now. We’ve got modern-day slavery going on right now.” The museum conducts security screenings for visitors, and Morris noted that they were not a direct result of the 2015 Charleston church shooting, but a necessary precaution in general these days. Atlanta, Georgia saw the opening of its National Center for Civil and Human Rights in 2014. The facility sits on land donated by Coca-Cola and cost $103 million to build. It’s also located strategically next to the Georgia Aquarium and the World of Coca-Cola museum and entertainment complex. Unlike Memphis’ museum, Atlanta’s is incorporated into a larger city experience. The World of Coca-Cola website openly advertises the city’s broader offerings, as does the museum’s website, which also lists preferred hotels at a discount, hoping to lengthen visitors’ stays. In September Washington, D.C. will open the new Smithsonian National Museum of African American History and Culture. At a cost of $540 million to create, this enormous project has been in the works since Congress established it in 2003. Not only is the museum attached to the prestigious Smithsonian brand, a theater inside is named after Oprah Winfrey, who donated $13 million to the project, and the museum sits adjacent to the Washington Monument, right in the middle of tourist central. In 2017 Montgomery, Alabama will see the nation’s largest and most comprehensive — by far — memorial and museum dedicated to the victims of lynching, created by the Equal Justice Initiative. Milwaukee’s First Stage Children’s Theater commissioned playwirght Y York to create a ply inspired by Wells’ life and artwork. In 2010, York’s play “Don’t Tell Me I Can,t Fly” was selected to be read at the Kennedy Center’s New Visions/New Voices Festival in Washington D.C. The play is scheduled to debut in Milwaukee during Frist Stage Children’s Teater during their 2011-2012 season.